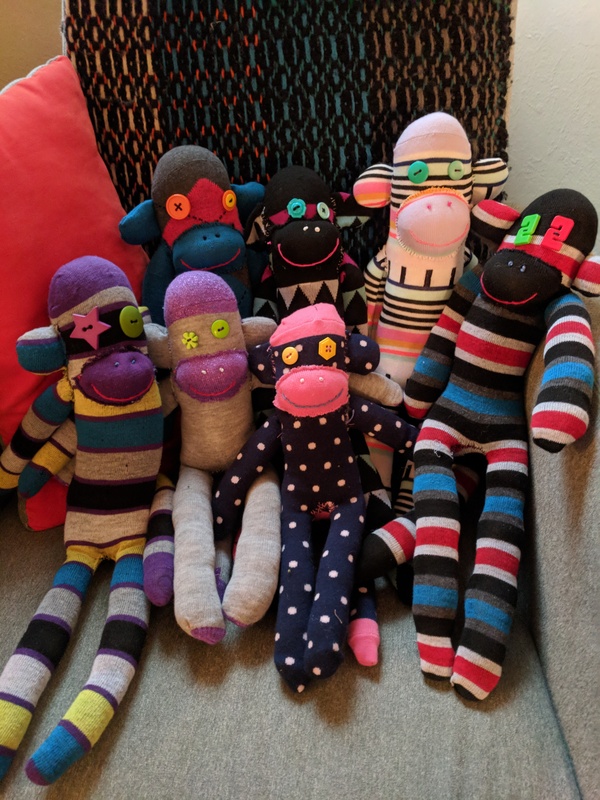 A big funky bunch of 50 Sock Monkey delegates were created to send to military families in the Bay Area with members in active service, and the timing could not be better as April is the Month of the Military Child. This initiative applauds military families and their children for the daily sacrifices they make and the challenges they overcome. We Love You and Thank You for your service and sacrifice. Sending you Big Monkey Hugs and So Many Smiles! It’s been a busy Spring for OSM Operatives in the Bay Area, with workshops hosted by Vet Connect and Alpha Sigma Phi in the Dept of Justice Studies at SJSU. Special Thanks to Sophia Sasaki and MOMS Club of Sunnyvale and Liv La and Silicon Valley friends for helping us stitch up these sweet smiles! 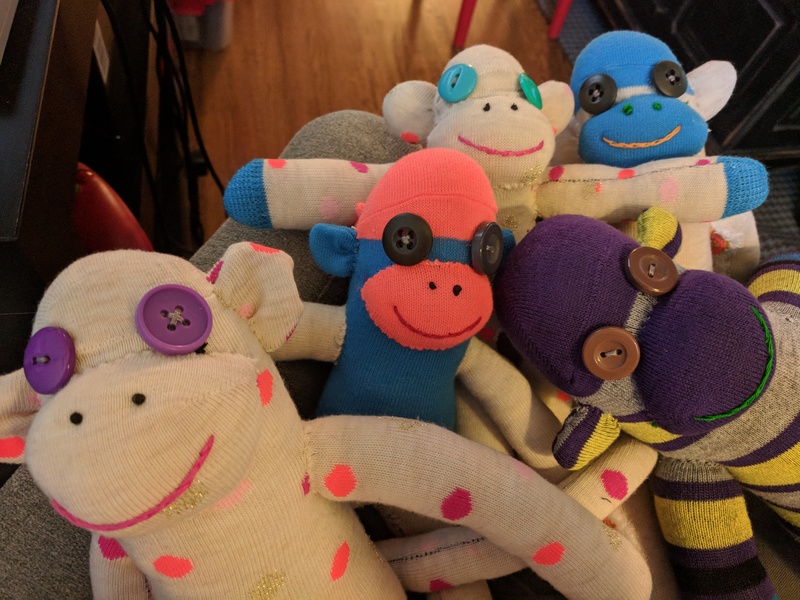 Speaking of smiles, all proceeds from March workshops in the Bay Area were donated to Clowns Without Borders USA, to help them spread love and magic to communities around the world, most recently in Colombia and along the Balkan Route. As always, OSM is honored and delighted to support this important work!